A glorious night of a cappella, guaranteed to warm your heart on a cold winters night. 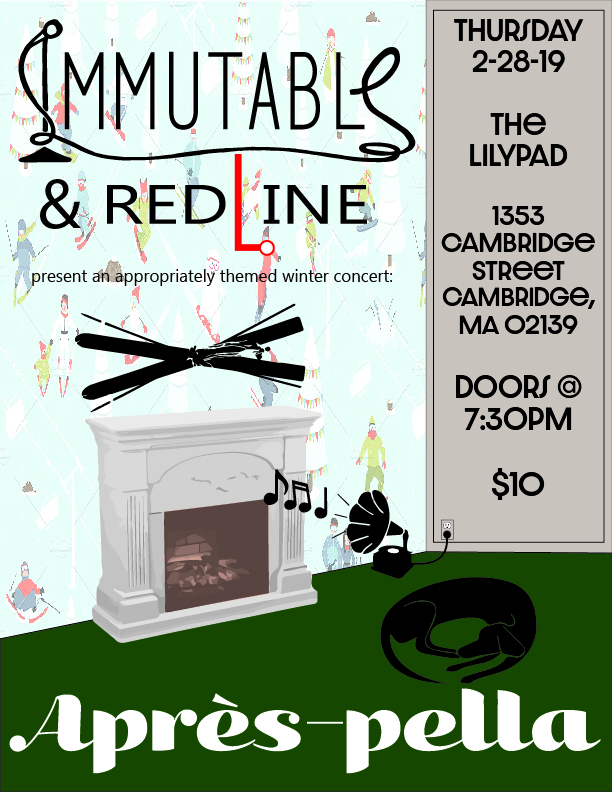 Immutable is a Boston-based vocal band that performs an eclectic mix of R&B, 90s, and current pop tunes, as well as a few originals. We've gone by a few different names over the years, but one thing is immutable--our love of music! Nothing but a bunch of guys and some microphones, we are Boston's Redline a cappella.